Academy Award winning film based on the true story of a group of students in Munich in 1942 who put their lives in danger by distributing leaflets telling the truth of what was going on in the concentration camps. Absolutely a must see for all young activists fighting for truth and freedom. Check out the White Rose web sites and memorials. 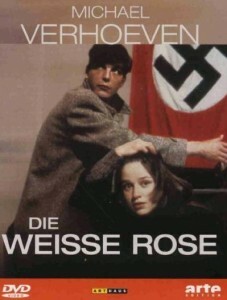 For more details, see Die weiße Rose on The Internet Movie Database.